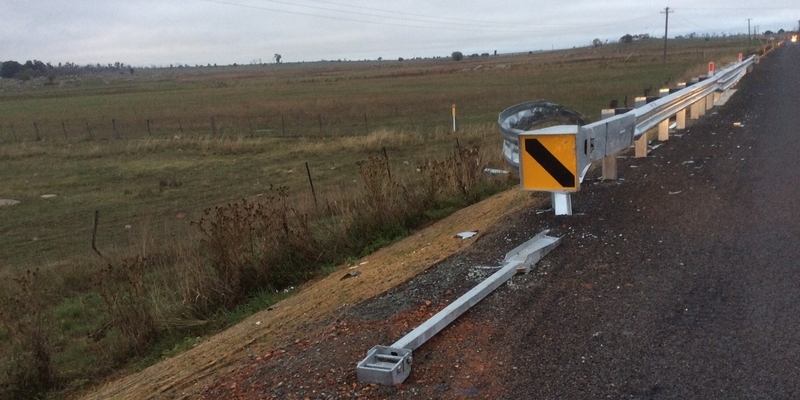 Safe Direction is the first Australian manufacturer to move to complete MASH compliance for supply of its guardrail barrier. SD has phased out old NCHRP350 terminals and now exclusively supplies MSKT terminals with its RamShield guardrail for a complete end to end MASH compliant solution. The effectiveness of the new MSKT terminal has already been put to the test with a very timely installation potentially saving a NSW motorists life. Euro Civil, a leading guardrail installation company had no sooner left site before being notified of a head on collision with the MSKT terminal that they had finished installing just half an hour earlier. SD Managing Director, Hayden Wallace said it was just an amazing circumstance and fortuitous moment for the driver and what was the first Australian installation of the MSKT. Wallace said SD is proud to be leading the industry in moving to MASH compliance and giving customers the opportunity to move ahead of the pending regulatory timeline to MASH adoption. This gives customers the ability to future proof current works to the pending regulatory implementation of MASH compliance, Wallace said.